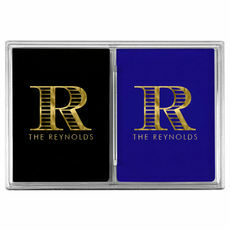 Sample shown is a Navy napkin with a Gold Satin Foil imprint using Placement N: Horizontal Centered. Sample shown is a Navy napkin with a Light Grey imprint using Horizontal Centered positioning. 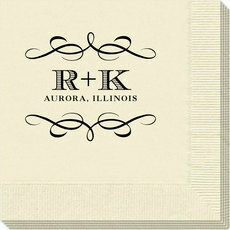 Set of personalized napkins with a striped initial positioned over your personalization. 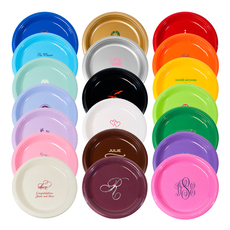 Your choice of napkin color, positioning and imprint color. Quality 3-ply napkins you'll be proud to use or give. Napkins are shrink wrapped in sets of 50. The initial typestyle is only as shown.